Directorate of Airspace & Aerodrome Regulations has three primary branches i.e. Aerodrome Standards (AS), Airspace and Air Navigation Standards (AANS) & Technical Standards (TS). The Technical Standards branch has been set up under Directorate of Airspace & Aerodrome Regulations (DAAR) within Pakistan Civil Aviation Authority (PCAA) to perform the safety oversight function in the field of Communication, Navigation & Surveillance (CNS). PCAA has gone through USOAP Audit in 2011. Development & Review of Regulations, Air Navigation Orders, Standards & Procedures pertaining to Communication, Navigation & Surveillance (CNS) Services. Adoption of ICAO SARPs and notification of differences to ICAO for Annexe10 (Vol-I to V). Safety Oversight of CNS Service Providers to ensure compliance of the established regulatory requirements. Transformation & promulgation of Air Navigation Orders for Pakistan CAA in various Engineering fields of Communication system and Procedures, Navigation & Surveillance systems. Updating and implementation of the devised Standards and to make sure that the standards formed in the form of Operating Regulations, ANOs or any other document must be in line with ICAO SARPs. Establish regulatory and safety oversight mechanism for CNS service providers; through schedule and non-scheduled audits and inspections of CNS facilities / equipment & procedures. Monitor the national CNS services safety oversight; contribute in risk management processes and for the development of national / international CNS regulations, standards, policies and practices. Assist locations and respective branches regarding explanation of ICAO standards / recommendation / guidance materials pertaining to CNS and Com-Ops. This includes evaluation of SOPs / Manuals / TOs etc. developed by the service providers. Monitor the operation of CNS services in Pakistan Airspace. Monitor the qualification, training (initial, recurrent and on job training) and experience of technical staff deployed by CNS service providers to install, maintain and operate CNS systems. Evaluate and process the requests from service providers such as CNS Directorate & Ops Directorate for exemptions from prescribed standards and recommended practices. Provide guidance regarding sitting, installation, operation and interpretations to service providers regarding the application of Standards and Recommended Practices of ANOs, CARs, Annexes and documents of ICAO with respect to CNS systems. Study aviation related occurrence data, analyse trends, identify risk indicators, assesses risk and recommend control measures for the provision of safe CNS systems. Provide subject matter expertise to HQCAA and service providers, in addition to outside agencies, organizations in general. Ensure availability of protected aeronautical radio spectrum free from harmful interference for the safe operation of Civil Aviation through respective agencies within Pakistan and ICAO. Represent in all ICAO and related forums with respect to CNS standards and recommended practices. Assess quality of training and related facilities established in Pakistan with respect to CNS systems operation and maintenance. 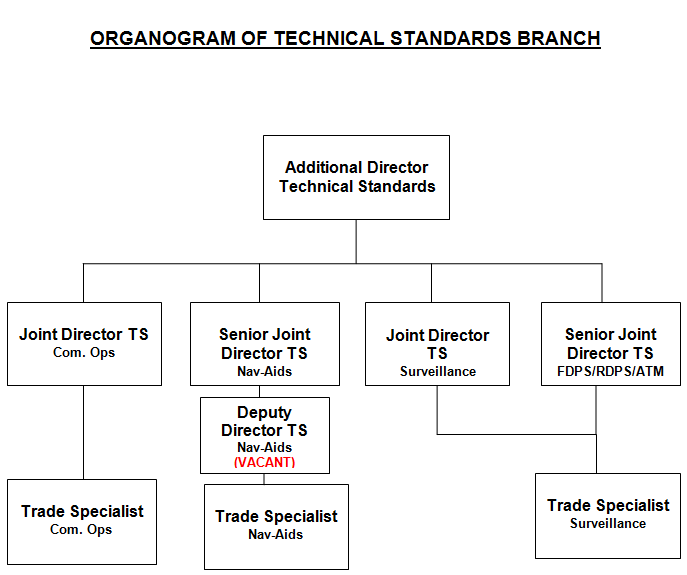 Ensure training standards of related technical manpower compliant with ATSEP Manual. Inspect supply chain management and workshop facilities with respect to CNS system maintenance for optimum, availability continuity and quality of services. Any other action related with ensuring safety related best practices. Plan visits of Inspectors for the CNS oversight functions and to ensure submission of reports to concern quarters giving a suitable time line for removal of deficiencies. Perform random checks/surprise visits of locations as part of oversight function to authenticate the steps being taken by locations for removal of deficiencies/findings and observations. Explore, prepare and implement annual training program for CNS inspectors. Represent PCAA in all local and International Forums with respect to Communication, Navigation and Surveillance (CNS) related to Engineering and Operational Standards. Transformation, updating & promulgation of Air Navigation Orders (ANOs) w.r.t. CNS Standards & Recommended Practices (SARPs). Transformation of Manuals / Plans and guidance material for CNS Service Providers. Distribution of relevant ANOs/Manuals/Plans etc. to all stake holders in Pakistan. Uploading of ANOs/Manuals/Plans on CAA website / IMS portal. Annual planning of Continues Monitoring Approach (CMA) for CNS systems/com. Ops. Procedures. Preparation & implementation of Annual oversight inspection program for Airports / locations. Preparation & submission of inspection reports. Adoption of ICAO SARPs and notification of differences to ICAO for Annexes 10 (Volume I to V).